In a wide-ranging look at the history and present of the barbarous relic, CBC’s Brian McKenna and Ann-Marie MacDonald have gathered many perspectives (pro and con) on gold. The following documentary moves from historical shipwrecks to Nazi ‘death gold’ and England’s war chest to recent years where widespread economic uncertainty has given the yellow metal a “new lustre in the world of high finance.” Valued for its permanence, beauty and scarcity, people will lie, cheat, steal and kill in the name of gold; and the clip provides color on many of the market manipulations of the last few years. As MacDonald says, whether it’s a few gold coins or gold bars stored in one of the many vaults around the world, many investors are taking a shine to gold. But there’s not a lot of it. It is said that, even melted down, there would not be enough to fill an Olympic swimming pool. Some claim that much of the gold held by the Bank of Canada, the Bank of England, the Federal Reserve and Fort Knox is gone – that for every 100 ounces of gold traded, there exists only one ounce of real, physical gold. So, where is the gold – and who really owns it? Lehman Brothers had humble origins, tracing its roots back to a small general store that was founded by German immigrant Henry Lehman in Montgomery, Alabama, in 1844. In 1850, Henry Lehman and his brothers, Emanuel and Mayer, founded Lehman Brothers. In February 2007, the stock reached a record $86.18, giving Lehman a market capitalization of close to $60 billion. However, by the first quarter of 2007, cracks in the U.S. housing market were already becoming apparent as defaults on subprime mortgages rose to a seven-year high. On March 14, 2007, a day after the stock had its biggest one-day drop in five years on concerns that rising defaults would affect Lehman’s profitability, the firm reported record revenues and profit for its fiscal first quarter. In the post-earnings conference call, Lehman’s chief financial officer (CFO) said that the risks posed by rising home delinquencies were well contained and would have little impact on the firm’s earnings. He also said that he did not foresee problems in the subprime market spreading to the rest of the housing market or hurting the U.S. economy. Lehman’s high degree of leverage – the ratio of total assets to shareholders equity – was 31 in 2007, and its huge portfolio of mortgage securities made it increasingly vulnerable to deteriorating market conditions. On March 17, 2008, following the near-collapse of Bear Stearns – the second-largest underwriter of mortgage-backed securities – Lehman shares fell as much as 48% on concern it would be the next Wall Street firm to fail. Confidence in the company returned to some extent in April, after it raised $4 billion through an issue of preferred stock that was convertible into Lehman shares at a 32% premium to its price at the time. However, the stock resumed its decline as hedge fund managers began questioning the valuation of Lehman’s mortgage portfolio. However, these measures were perceived as being too little, too late. Over the summer, Lehman’s management made unsuccessful overtures to a number of potential partners. The stock plunged 77% in the first week of September 2008, amid plummeting equity markets worldwide, as investors questioned CEO Richard Fuld’s plan to keep the firm independent by selling part of its asset management unit and spinning off commercial real estate assets. Hopes that the Korea Development Bank would take a stake in Lehman were dashed on September 9, as the state-owned South Korean bank put talks on hold. The news was a deathblow to Lehman, leading to a 45% plunge in the stock and a 66% spike incredit-default swaps on the company’s debt. The company’s hedge fund clients began pulling out, while its short-term creditors cut credit lines. On September 10, Lehman pre-announced dismal fiscal third-quarter results that underscored the fragility of its financial position. The firm reported a loss of $3.9 billion, including a write-down of $5.6 billion, and also announced a sweeping strategic restructuring of its businesses. The same day, Moody’s Investor Service announced that it was reviewing Lehman’s credit ratings, and also said that Lehman would have to sell a majority stake to a strategic partner in order to avoid a rating downgrade. These developments led to a 42% plunge in the stock on September 11. With only $1 billion left in cash by the end of that week, Lehman was quickly running out of time. Last-ditch efforts over the weekend of September 13 between Lehman, Barclays PLC and Bank of America, aimed at facilitating a takeover of Lehman, were unsuccessful. On Monday September 15, Lehman declared bankruptcy, resulting in the stock plunging 93% from its previous close on September 12. Based on interviews with those directly involved and data visualizations up to the millisecond, it reconstructs the flash crash of May 6th 2010: the fastest and deepest U.S. stock market plunge ever.Money and Speed: Inside the Black Box is developed by filmmaker Marije Meerman in close collaboration with design studio Catalogtree. 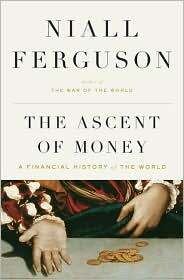 The Ascent of Money: A Financial History of the World is Harvard professor Niall Ferguson‘s tenth book, published in 2008, and an adapted television documentary for Channel 4 (UK) and PBS (US). It examines the long history of money, credit, and banking. From Shylock‘s pound of flesh to the loan sharks of Glasgow, from the “promises to pay” on Babylonian clay tablets to the Medici banking system. Professor Ferguson explains the origins of credit and debt and why credit networks are indispensable to any civilization. How did finance become the realm of the masters of the universe? Through the rise of the bond market in Renaissance Italy. With the advent of bonds, war finance was transformed and spread to north-west Europe and across the Atlantic. It was the bond market that made the Rothschilds the richest and most powerful family of the 19th century. Why do stock markets produce bubbles and busts? Professor Ferguson goes back to the origins of the joint stock company in Amsterdam and Paris. He draws telling parallels between the current stock market crash and the 18th century Mississippi Bubble of Scottish financier John Law and the 2001 Enron bankruptcy. He shows why humans have a herd instinct when it comes to investment, and why no one can accurately predict when the bulls might stampede. Life is a risky business – which is why people take out insurance. But faced with an unexpected disaster, the state has to step in. Professor Ferguson travels to post-Katrina New Orleans to ask why the free market can’t provide some of the adequate protection against catastrophe. His quest for an answer takes him to the origins of modern insurance in the early 19th century and to the birth of the welfare state inpost-war Japan. It sounded so simple: give state-owned assets to the people. After all, what better foundation for a property-owning democracy than a campaign of privatisation encompassing housing? An economic theory says that markets can’t function without mortgages, because it’s only by borrowing against their assets that entrepreneurs can get their businesses off the ground. But what if mortgages are bundled together and sold off to the highest bidder? Niall Ferguson investigates the globalisation of the Western economy and the uncertain balance between the important component countries of China and the US. In examining the last time globalisation took hold – before World War One, he finds a notable reversal, namely that today money is pouring into the English-speaking economies from the developing world, rather than out.